By the end of this month, we will all have turkey and beef fatigue. Somehow between Thanksgiving and the end of the year, all we eat is meat and big poultry. Of course the winter weather supports this movement toward stick-to-your-ribs eating, but eating too much heavy protein still makes me slow moving…and I need to be fast-moving to warm up. I always have a lot of quick recipes in my food bag for this busy season. After baking cookies all day or making my 1000th Mortadella stuffed tortellini, the last thing I want to do is go home and roast meat. 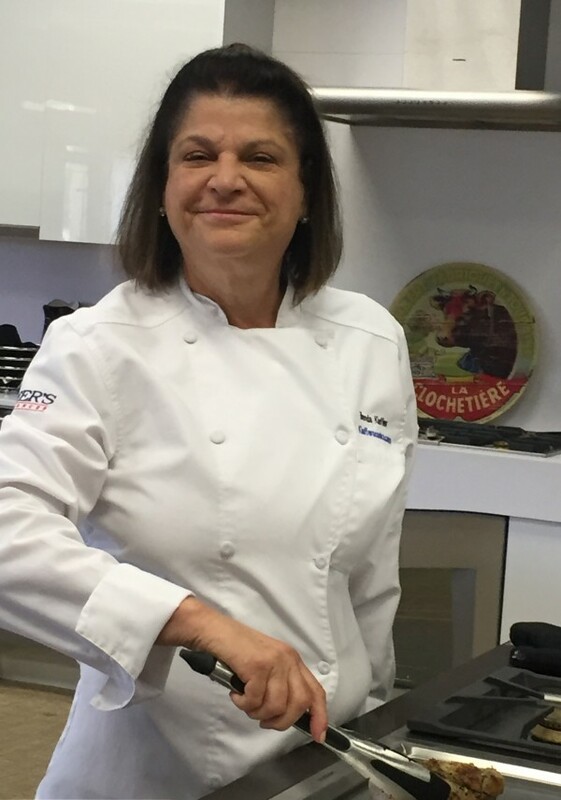 So I call on my collection of recipes that take less than 30 minutes start-to-finish, can utilize ingredients I always have on hand or are readily available in any market and are on the light side. 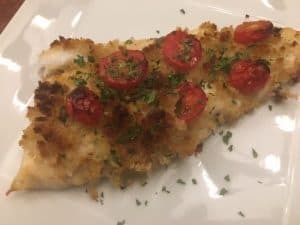 This recipe for Baked Flounder with Tomatoes and Shallots fulfills all requirements. I buy the very freshest flounder available, then immediately vacuum seal it and freeze it. Defrost overnight in the refrigerator and you would never know you didn’t buy it that day. 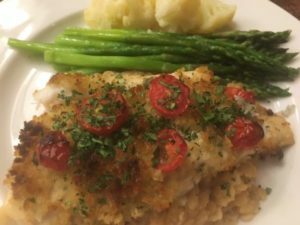 This dish works well with sole, fluke or tilapia-any thin, flat, flaky white fish. 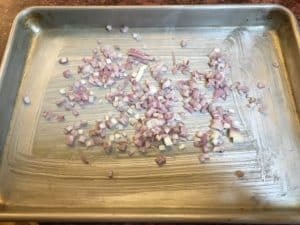 Butter a baking sheet or dish and sprinkle with the chopped shallots. 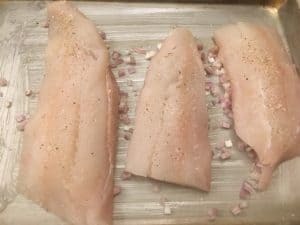 Place the fish former skin side down on top of the shallots and sprinkle with salt and pepper. 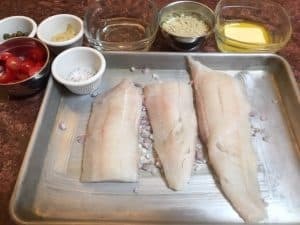 Think out the mustard with 1/2 the wine and brush over the fish. Toss the remaining butter with the panko or breadcrumbs and spread over the fish, pressing down lightly. Sprinkle with the rest of the wine, the capers and the sliced tomatoes. 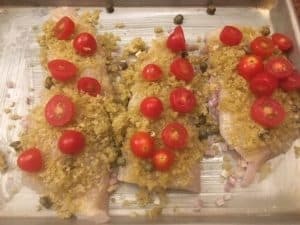 Put the fish in the hot oven and bake for about 5 minutes. Turn on the broiler to high and broil until the fish is lightly browned. Watch it!! it will only need a couple of minutes, depending on your broiler.